If you're a regular follower, then you know we're really into all things Steampunk. We design costumes, listen to the music, and attend conventions. We're captivated by the creativity of the people we meet. 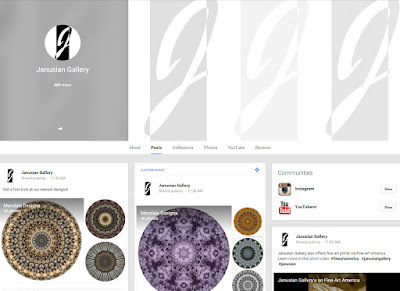 We have a confession to make: when we began our pre-launch activities for Janusian Gallery, we intentionally overlooked Google+ as a social network into which we should invest our energies. There were many reasons for this. First, we saw Google+ as little more than a failing Facebook rival. 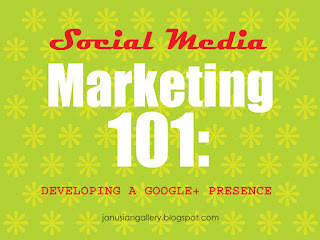 Next, our owners had thriving Facebook presences and their Facebook friends weren't on Google+. Third, we were building our web site, this blog, and several print-on-demand stores at the same time, with no employees or other assistance. 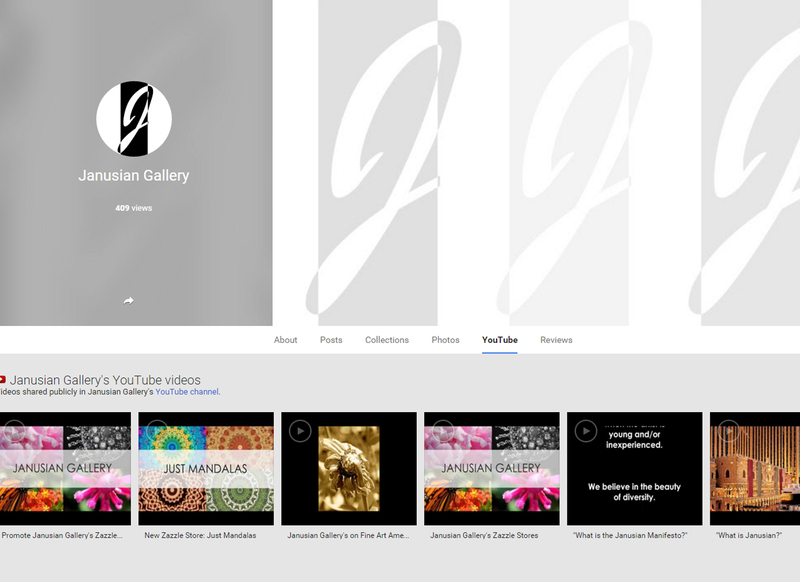 And finally, we were trying to establish Janusian Gallery on several social networks: Facebook, Twitter, LinkedIn, Instagram, LinkedIn, Pinterest, Flickr, Tumblr, YouTube, etc. While we kept Google+ on our radar, we just keep pushing it further down the list. 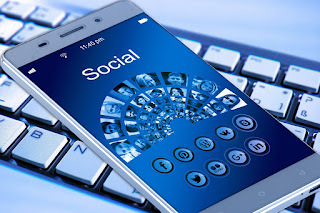 Although we read some articles including Google + in the "Big 4" social networks, we noted that a significant percentage of the people ranking them there were either affiliated with Google or had some other good reason to keep Google happy. 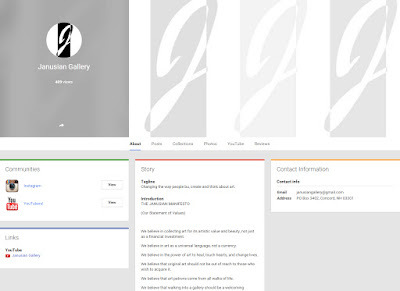 We also hated how Google made us create a Google+ profile to post our YouTube videos. 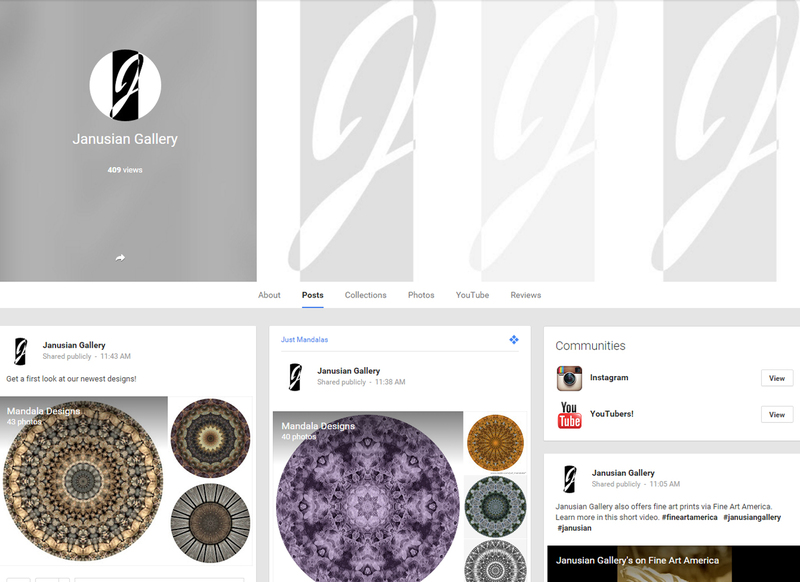 We recently started paying attention to our Google+ profile, for many reasons. Our web site is relatively complete. We've been blogging here for months. 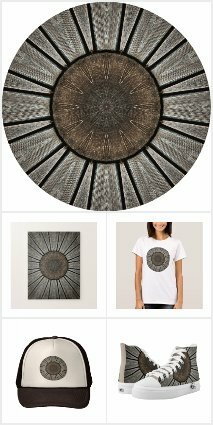 Our Zazzle stores are gaining traction. We have so many active social network presences that we started using content management software to schedule our posts and post them simultaneously to multiple places. But the main reason we wanted to become active is that we read that Google ranks Google+ posts high in its own search engine results and we wanted to find out for ourselves whether this was true. 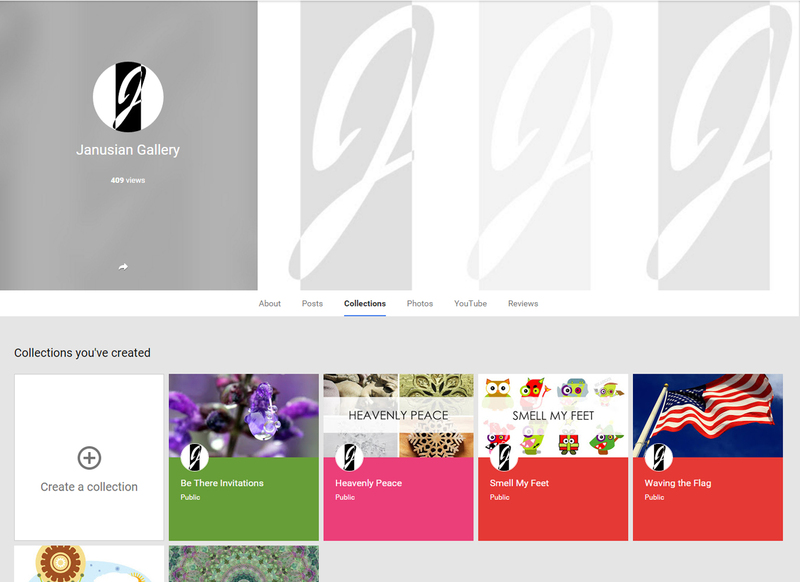 Below is a visual tour of our current Google+ presence, to show you how intuitive the interface is and how easy it is to establish a strong online presence there. This feature should look familiar to anyone who posts Facebook status updates. Although Google+ lets you create collections on just about any topic that strikes your fancy, we elected to create collections for each of our Zazzle stores. In doing so, we're using this feature in a very similar way to our "showcase pages" on LinkedIn. And here's what it looks like once the post is displayed within a collection. 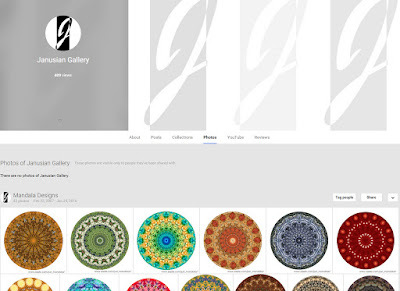 Collections can be customized with your choice of color scheme and photo, which helps reinforce your brand. 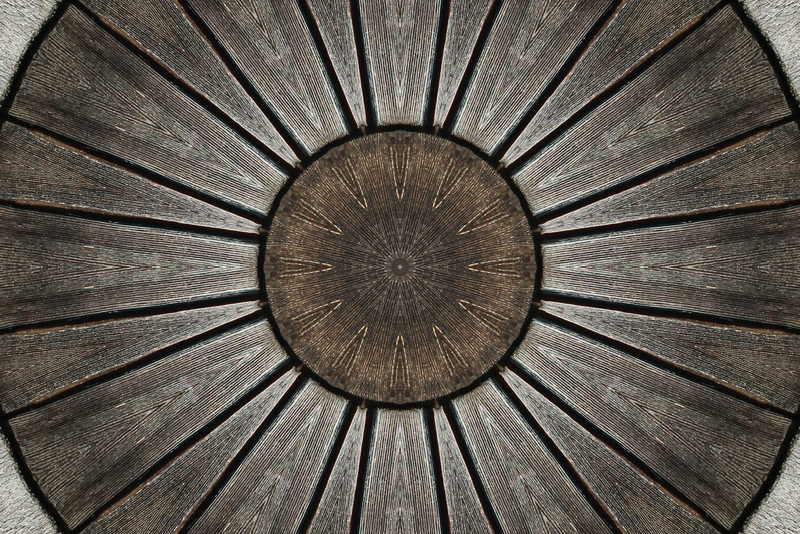 Having "eye candy" helps us sell our print-on-demand products, so we love being able to feature our designs here. 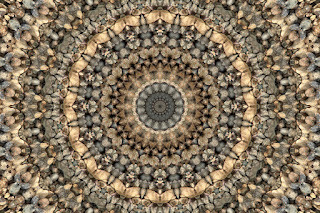 Note that each image includes a link to the corresponding Zazzle page. This particularly helps us on Pinterest, Instagram, and Flickr. 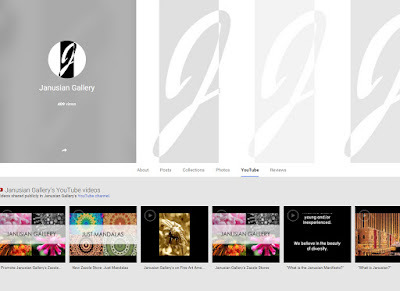 We love how easy Google+ makes it for visitors to find and play our YouTube videos. 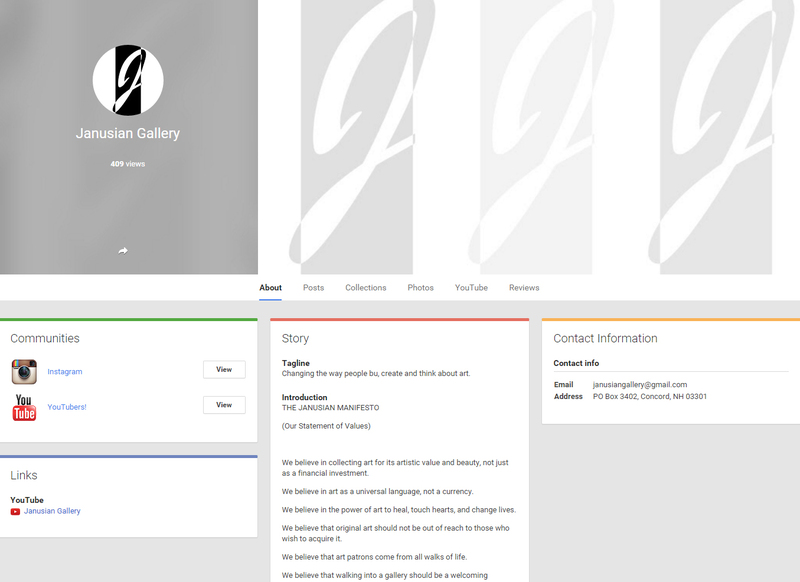 There's also a default section on our Google+ page for reviews. We haven't received any (yet), which is why we didn't include a screenshot. Google+ also encourages its users to engage with each other via Communities. Like Collections, this is a relatively new feature. THE BOTTOM LINE: After nearly abandoning Google+ as a failed Facebook rival, Google has resuscitated it with new functionality intended to distinguish it from Zuckerberg et al. While several social media pundits were quick to diss Google+ prior to these additions, some of them just may be underestimating Google. Social networks like Facebook are attempting to "throttle" organic content, in order to make money off paid advertising. However, this paid content still has to make it through the search engine algorithms in order to be found by their intended audience. And guess who owns arguably the premier search engine? 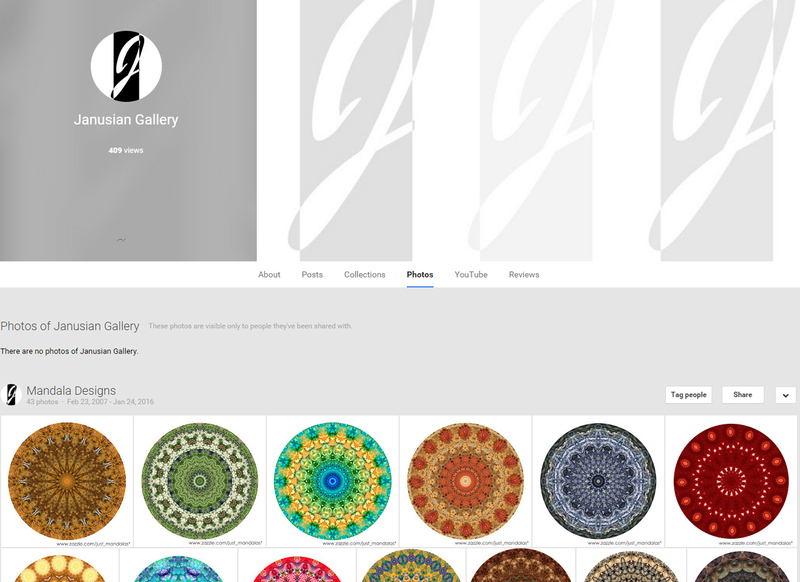 While it remains to be seen whether our own organic content fares better when posted to Google +, it doesn't hurt to try. 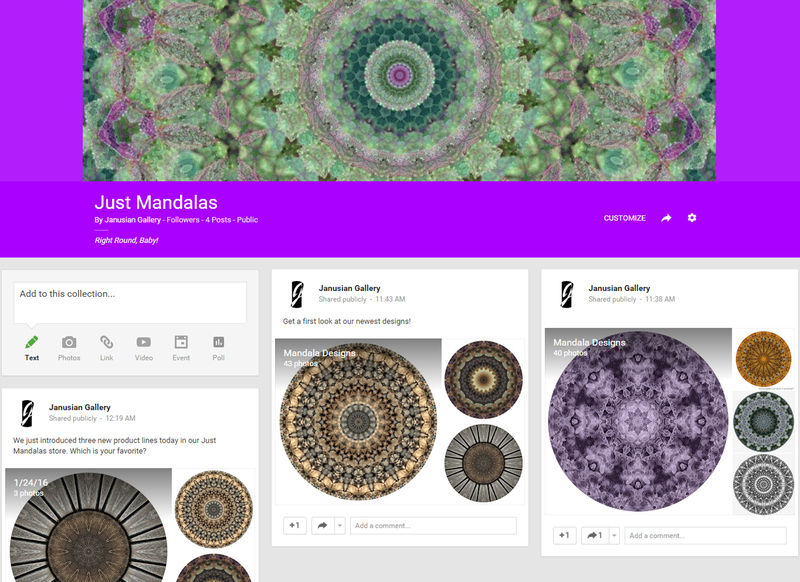 Content management apps like Hootsuite make it easy for us to post content to Facebook and Google+ at the same time. 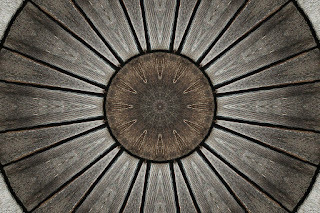 Are you paying attention to your Google+ pages? If so, how do they play a part in your social media marketing campaigns? 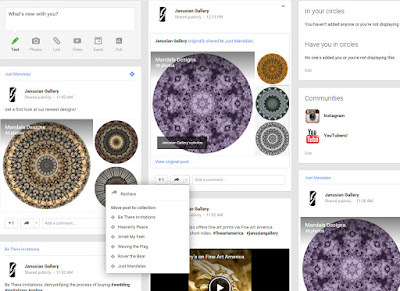 What do you think about Google+'s recent enhancements? Will Google+ ever poses a serious threat to Facebook?Send us an e-mail or leave a comment below. We're continually creating new kaleidoscopic designs based on feedback from our customers and fans, so if you're interested in a particular design or color treatment, send us an e-mail or leave us a comment below. We love the ingenuity and creativity of Steampunk. The costumes, the music, the gadgets, and the people we meet at conventions. We noticed that many attendees bring small children and want to share their enthusiasm for all things Steampunk with their offspring. 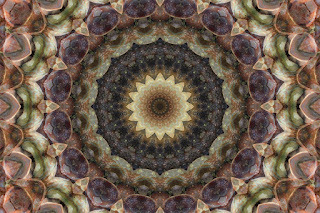 So we're proud to announce the launch of our eponymous nursery décor line "Janusian Dreams" at our Zazzle store Rover the Bear. "Janusian Dreams" features a children's illustration of a hot-air balloon and zeppelin and is designed for the Steampunk baby. Is a Social Media Marketing Backlash Inevitable? Years ago, child psychologists advised parents to treat their children as friends and peers. The children then grew up and told the parents: "I already HAD friends, I didn't need you to be one. I really just needed you to be my mom and dad." There are already signs that online audiences are having analogous feelings about the companies with which they interact: they want business organizations and executives to assume their dutiful roles and competently perform the tasks entrusted to them. Years ago, a well-intentioned PR team decided to give its company's brilliant but stoic president a "makeover", one which in retrospect was probably more suitable for the lead singer of a rock band than for an IT executive. The intent was to make the president more "approachable" to young computer developers. Turns out that both the company's customers and its Board of Directors felt more comfortable with a level-headed, predictable, "solid" person running the company from which they were buying product and services, not a guitar god. The fallout, as you might expect, was rather ugly. Likewise, your customers already have personal friends; they don't need you to be their online "bestie". 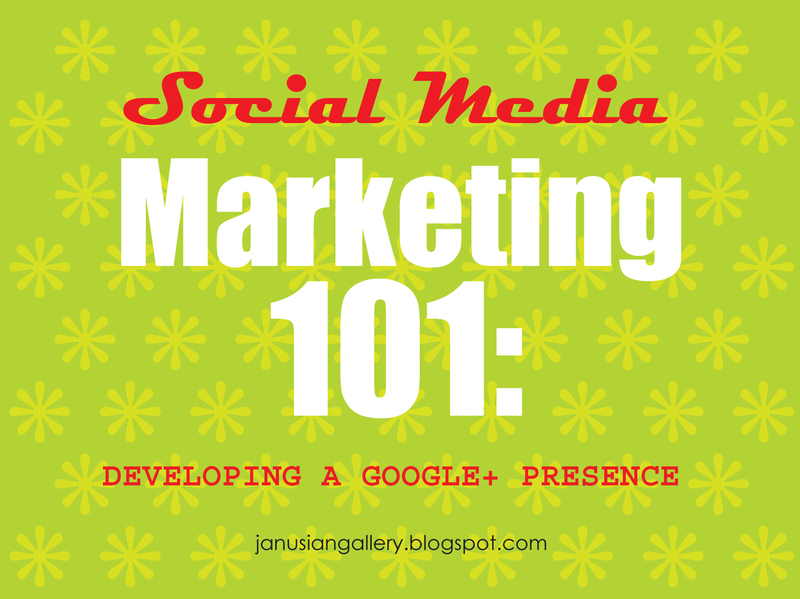 Don't get me wrong: there's a lot of good to be said about social media marketing. It's largely fixed what was once one of the biggest flaws about doing business online: the then-inability to cultivate the intimacy of face-to-face interaction. However, there's a danger of the pendulum swinging too far in the other direction: do you really need to see real-time video of your lawyer's niece's First Communion or the photo of your dentist's breakfast cereal (that he later turned into what he thought was a clever meme)? Some of this unfiltered social media content is bred from the trial-and-error process of embracing new technology. And it's nothing new. When people put up their first web pages back in the early- to mid-1990s, nothing was too mundane for publication. Even the most trivial statements seemed revelatory and vital when posted to the "Information Superhighway." But eventually the online user community decided for itself which content was most valuable to it. The same should happen -- and is already happening -- as people become increasingly exposed to social media content. As social media marketing continues to mature, the pendulum may correct itself and swing back closer to the middle again. Companies will still actively engage audiences online. However, they will do so in a more refined and sophisticated way. In other words, executives and companies will act like business professionals again, not teenage "guitar gods." And when/if this pendulum swing happens, content descriptors like "thoughtful" and "measured" may become compliments again. What is ***your*** vision of the future of social media marketing? Leave us a message below. Photo illustration courtesy of Pixabay.